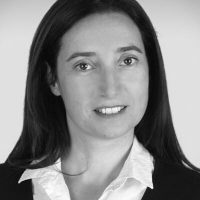 As a specialist in the International Labour Organization’s Future of Work Initiative, Maria Prieto provides technical support to the Global Commission on the Future of Work and to the ILO’s work on the subject. Maria has over 17 years’ professional experience in the United Nations. Her previous positions included thematic areas such as youth employment, local economic and social development, public-private partnerships, small and micro enterprises, informal economy, infrastructure development and urban environment. Maria holds a Master of Science in Business Administration and Economics from the University of Gothenburg, Sweden. Green and decent jobs are the future of a world of work that factors in climate change - but a just transition is key.